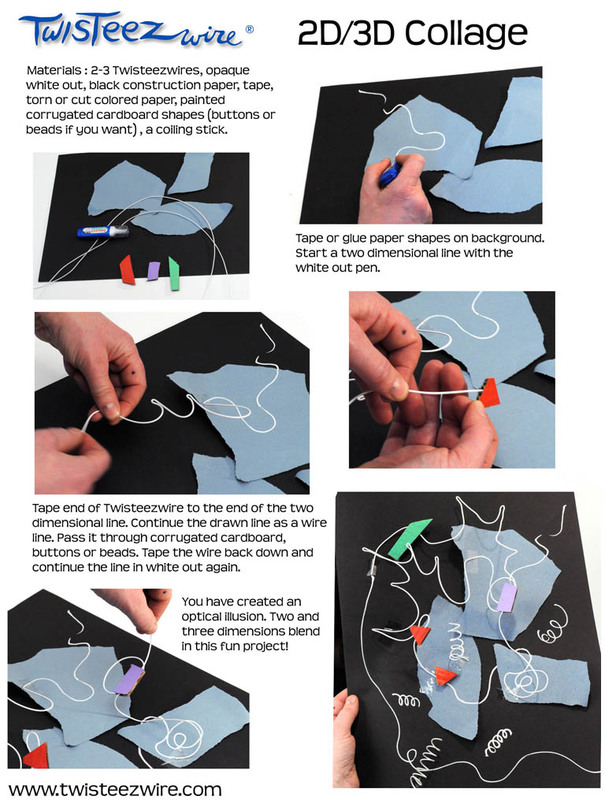 Twisteezwire wire collage lesson plan using figures, beads, paper. Make simple, bendable wire figures with Twisteezwire. Combine with cardboard, beads, feathers and other materials for added texture and color. 2d and 3d line abstraction. Click to view video.